So simple and yet so tasty, this Vietnamese dish from Simon Rimmer combines griddled beef with a deliciously crunchy tropical salad. 1. Rub the curry powder into the beef, season with salt and freshly ground pepper, rub with olive oil and set aside. Heat a griddle pan until very hot. Cook the beef steak on the griddle pan (one at a time, if necessary), for only 1 minute on each side. Set aside to cool. 2. 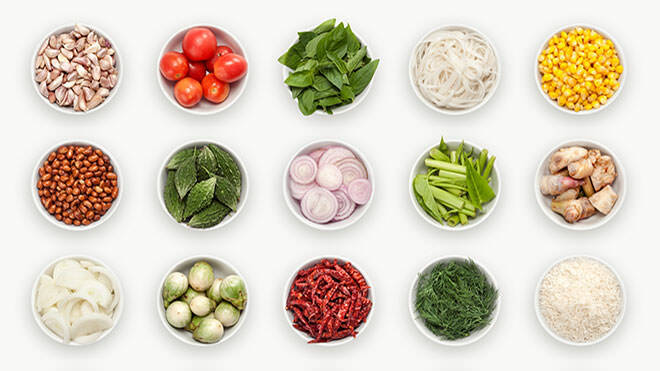 Make the Nuoc cham dressing. Combine the chillies, lemon grass, garlic, palm sugar, lime juice, water and fish sauce in a bowl. 3. Make the salad by tossing together all the salad ingredients in a bowl. Pour over the Nuoc cham dressing and toss again. 4. Using a sharp knife slice the griddled steak into fine strips and place on top of the salad. Serve.